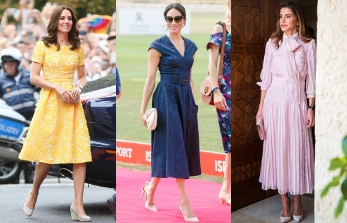 From the Diana effect of 80s to Kate effect of 90s to the latest Meghan effect, royals have been a strong pillar of fashion inspiration since ever – although you’ve seen us decoding the personal style of our favourite ones already, this time we bring you the exclusive summer-dress trends that are adorned by the royalties in abundance. 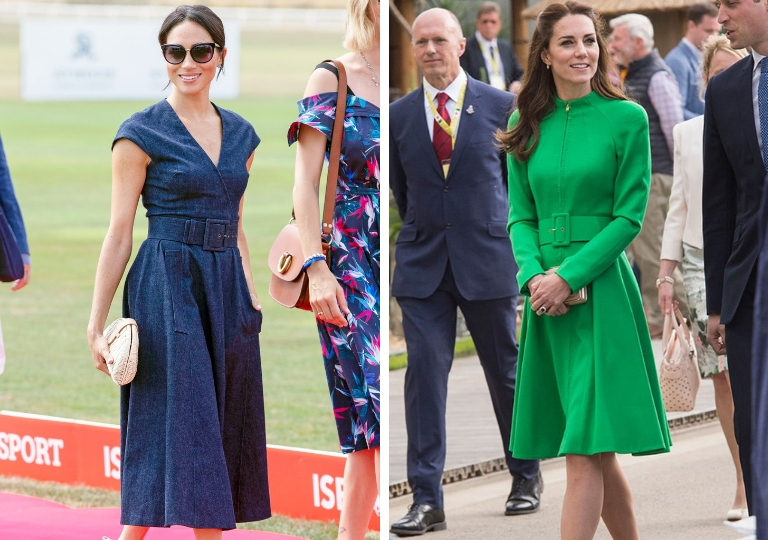 However, wearing dignified knee-length dresses might be a dress code for the royal ladies but when it comes to style we see a majority of them on the same page, right from the silhouette to the textures. But of course, with a vivid presentation of their own personality. Excited to know the summer trousseau of these ladies? Here we go. There is something uber chic about the blazer dresses, you can wear them to work with a classic pair of pumps or at a fine-dine evening with strappy sandals – they look exceptionally classy either way. 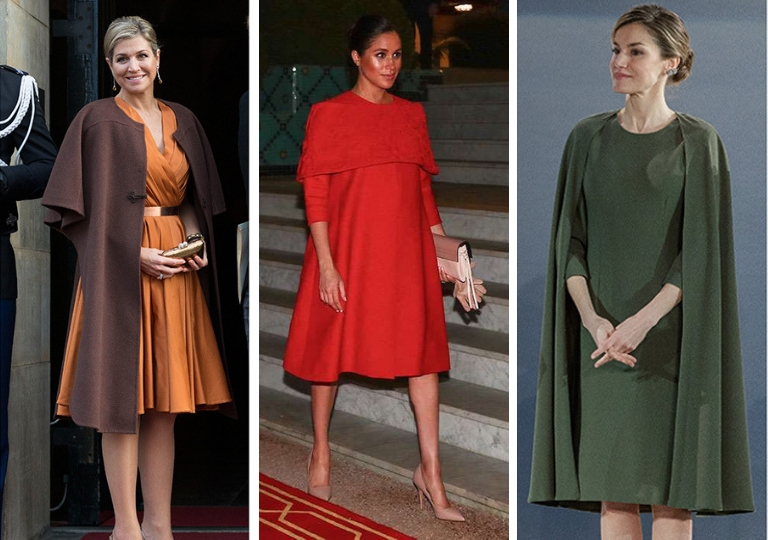 We’d like to believe that Duchess Meghan Markle and Queen Letizia think in a similar way when they don the most sumptuous looking dresses on and off the work. Seems like black is the cheat code to look flawless, just like they do, every single time. A floral dress is as essential as a refreshing beer on a scorching summer day, if not more. The royalties are just teaching us to wear them with the utmost elegance and grace this summer. 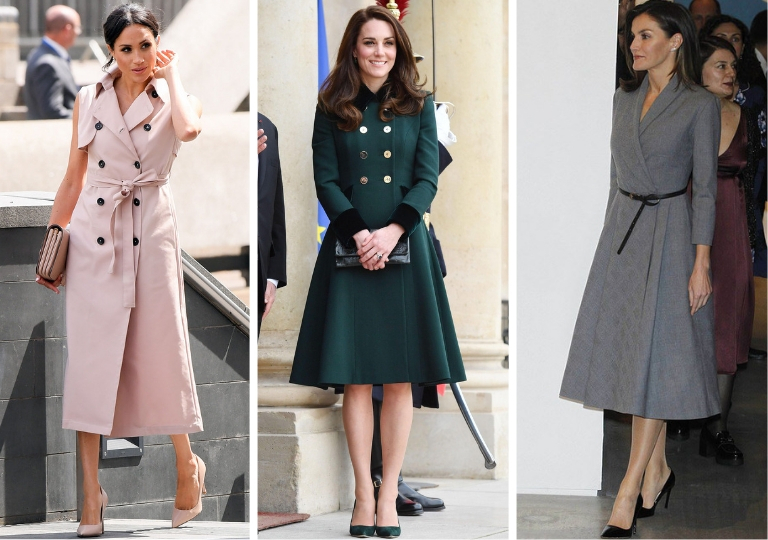 Choose your colour-palette partner, be it the team vibrant of Kate Middleton and Queen Letizia or the team muted with Meghan Markle or Charlene, Princess of Monaco. 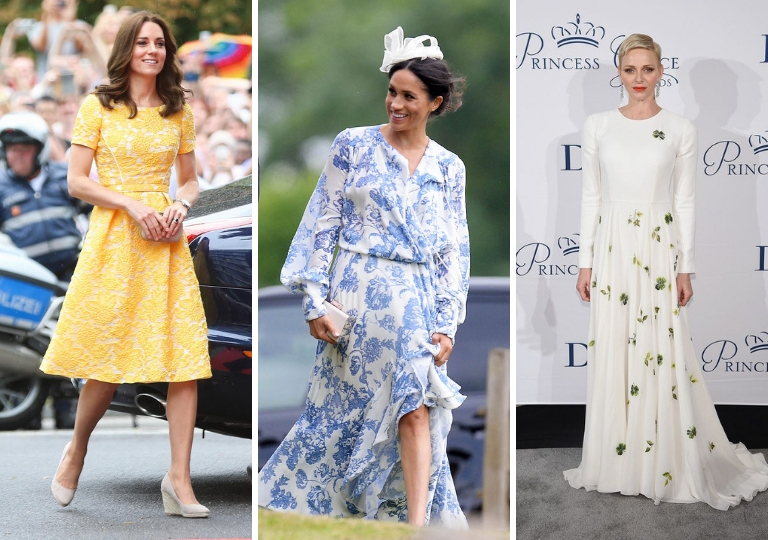 One and probably the only advantage of not being from the royal family is that you have the liberty to experiment with your dress, however you want – tie-dye, animal print, monochrome; and even the midi, wrap, ruffle, and the list goes on. Queen of Jordan, Princess of Saudi America, along with our Duchess ladies Kate and Meghan, all approve of the caped dress trend. They are regal, dramatic and powerful – might be a little overboard as a day wear but an evening in this dress will put you in a sheer imperial vibe. 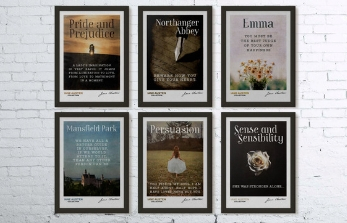 Feel like adding some drama to your summer wardrobe? Time to shop for caped dresses! 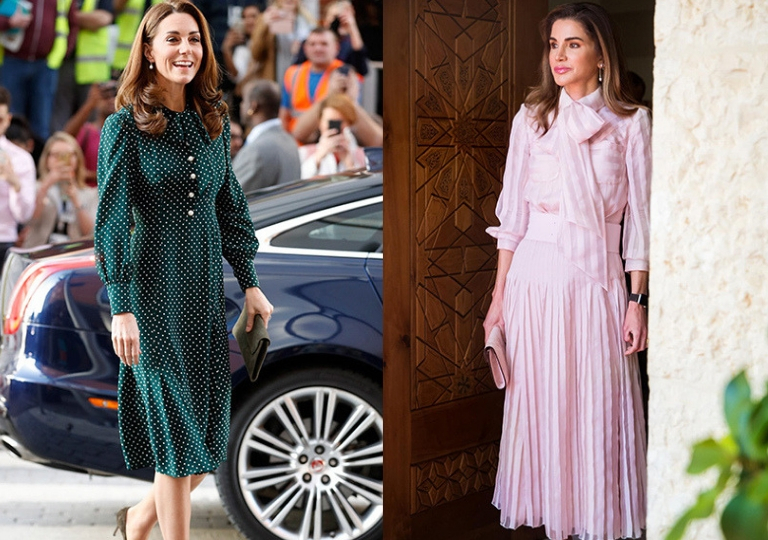 Coat and the Duchess of Cambridge is a combination meant-to-be, even the newest duchess of the kingdom takes style advice from our lady love Kate Middleton; coat dress is undoubtedly her signature style. 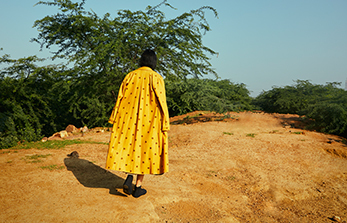 You may peep into her summer, winter, formal, casual and even pregnancy wardrobe, one style that stands out predominantly is the coat dress, that too in a phenomenal range of rich colours. We love the emerald and red ones a little biasedly. Everyone knows about the royal protocol of wearing well-tailored attires for their polished and sophisticated outline and the same applies to dresses as well. 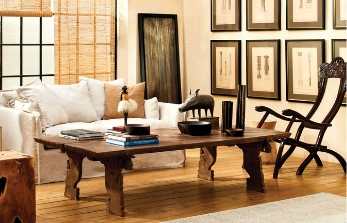 *pop* (Just when you thought belts and midis are parting ways.) If not the tailored belt-dress, you could team a plush looking belt with your otherwise plain dress to add that royal-ness to your outfit. If you want to glorify your summer wardrobe with maximal grace and dreamy-ness – Royalties shall be your style inspiration.